Telegram touts itself as an ultra-secure messaging platform, but the company is clearly plans to be restrained by the same. 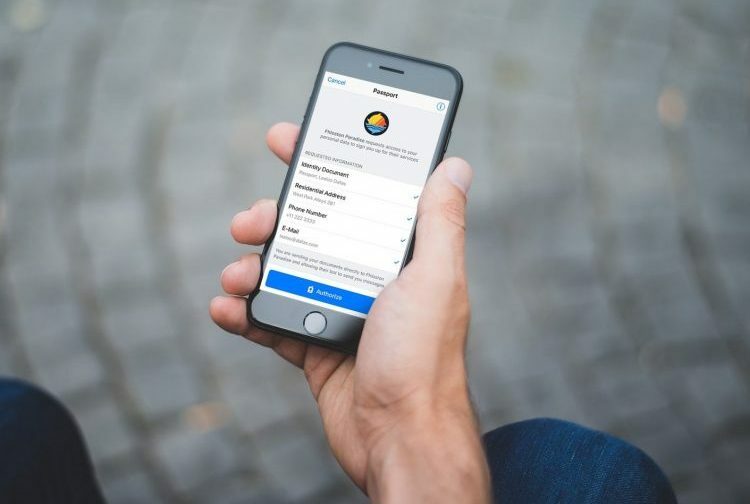 The company has today released an update that brings along a new feature called Telegram Passport, which allows you to store your real-world IDs (or documents) online for easy sharing with services that require you to prove your real identity. 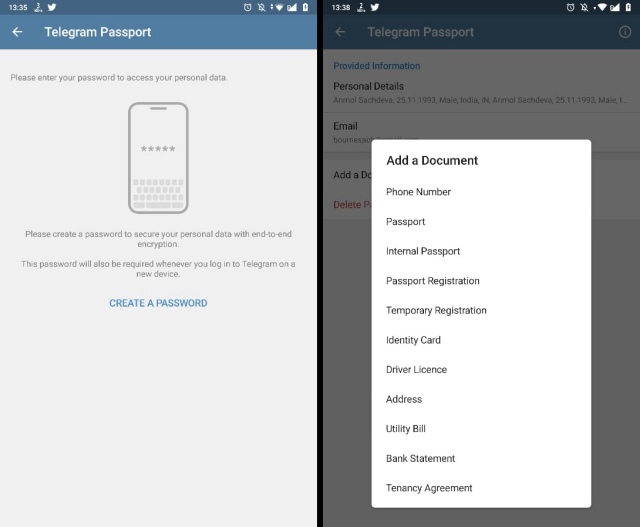 In its official blog post, Telegram describes Passport as a ‘unified authorization method for services that require personal identification.’ You would need to upload your documents, such as passport and driver’s license just the once and then you can almost instantly share your data with apps or services that require a real-life ID. This feature may instantly alarm privacy conscious, especially when Russia has been trying to gain access to Telegram’s data. However, you don’t need to fret over the privacy of your credentials as your Telegram Passport data will be end-to-end encrypted. Telegram says your personal documents will be stored in Telegram’s cloud storage but won’t be accessible by anyone, including the company. To Telegram, this data is just random gibberish, and we have “no access” to the information you store in your Telegram Passport. When you share data, it goes directly to the recipient. If you have updated to the latest version (build #4.9.0) of Telegram, you can navigate to ‘Settings > Privacy and Security > Telegram Passport’ to store your info on Android and ‘Settings > Telegram Passport’ on iOS. If you do not see this option after updating the app, open this ePayments link and force the sign-up process by clicking the ‘Sign up with Telegram’ button. You’ll then have to create a new password, enter your personal details, including an e-mail id for two-step verification, to finish the process. The ‘Telegram Passport’ option will now visible in the settings and you can upload any of the personal documents seen in the list attached below. All of this data is currently being stored in the same cloud as your Telegram messages but it will later be moved to a decentralized cloud, which the messaging giant may currently be working on even though its ICO may have been scrubbed. This feature shows that security is the primary focus of Telegram as always. So, are you interested in trying out the new Telegram Passport feature? Let us know in the comments below.